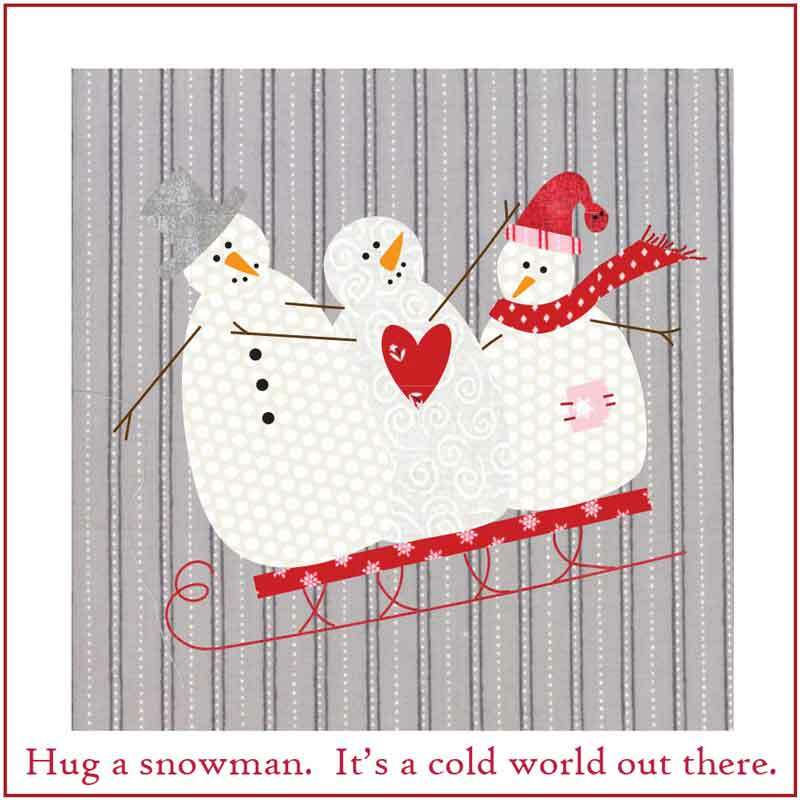 From Anne Sutton of Bunny Hill Designs… I love snowmen almost as much as I love Christmas so I designed my newest fabric collection – Merry Merry Snow Days – to be the perfect combination of both. Using a palette of my favorite traditional Christmas colors, I mixed my hand-drawn images with my favorite polka dots and stripes to create a collection I hope you’ll love. 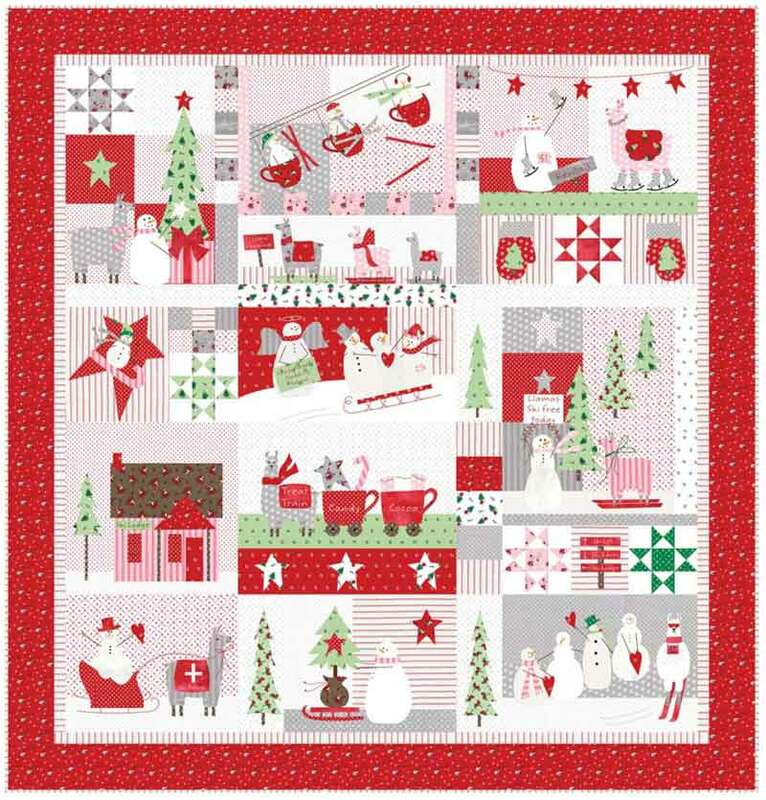 My new block of the month is Merry Merry Snow Days, and it’s filled with snowmen! Skinny and fat, small and tall, each one has their own personality depending on where and how the eyes, nose and arms are place. A little tilt here and a smile emerges. After I’d finished drawing my snowy friends, I put them on ski slopes and invited their friends to join the fun. You might not know this but snowmen love llamas! I think the combination of the two makes a perfect quilt for ski lovers… and for everyone who loves snowmen and llamas. The Merry Merry Snow Days quilt finishes at 65” x 68”. It is available at your favorite shop as a pattern, fabric kit or as a pre-packaged kit from Moda. 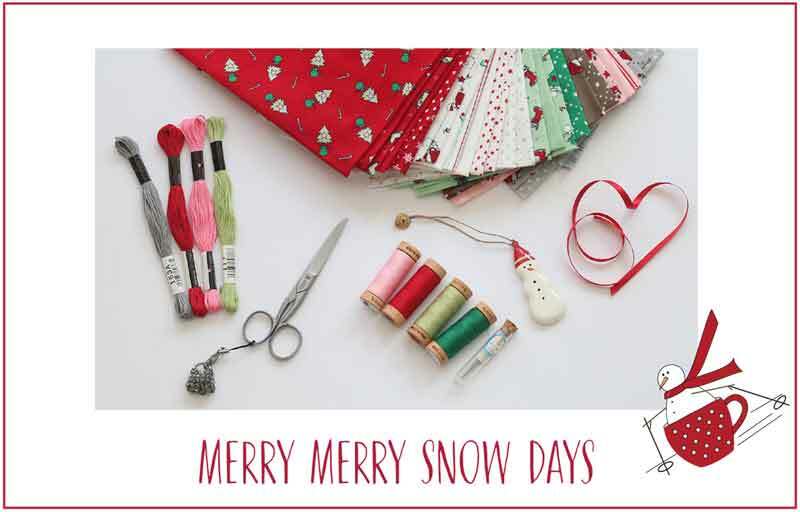 The Merry Merry Snow Days Moda kit will include all the fabric, Cosmo embroidery floss and the complete pattern. I’ll be doing a monthly sew-along tutorial on my blog – Bunny Tales – for each block in the quilt. Starting sometime in late April, I’ll be sharing my favorite methods and tips for cutting, appliqué, piecing and embroidery. 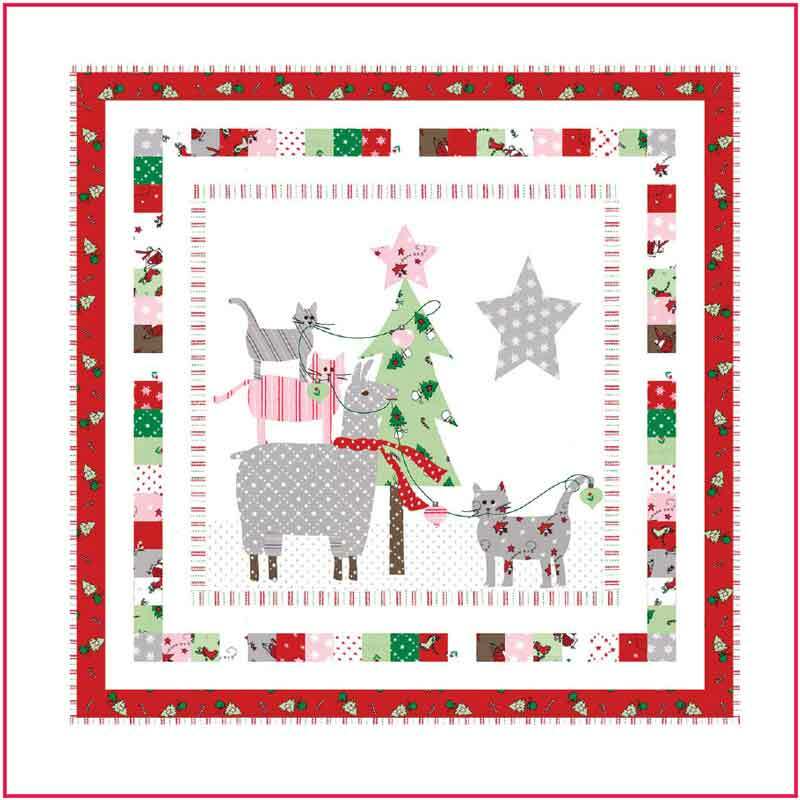 This is Patchwork Pines for Christmas – it finishes at 62″ x 62″. I love how the applique trees are set off by the simple single Irish Chain blocks. 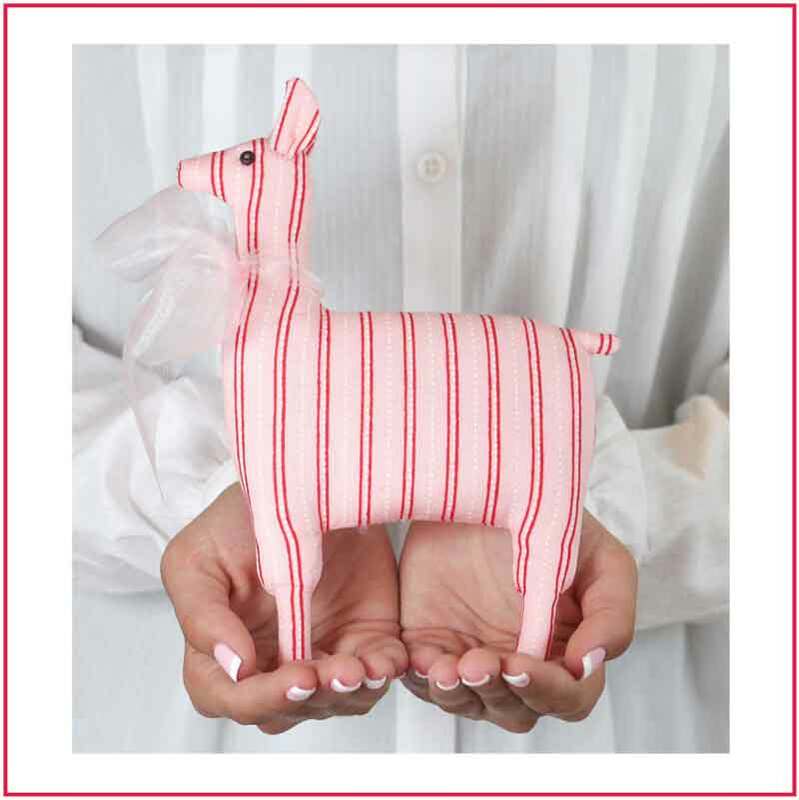 My newest petite pattern is a llama of course – Lollie Llama! She’s so sweet and easy to make. Lollie is the perfect ornament on a tree or a wonderful gift to a fellow llama lover. Speaking of gift giving, check out my new Pocket Pals for Christmas! Don’t know what to do with those gift cards you give out every year? 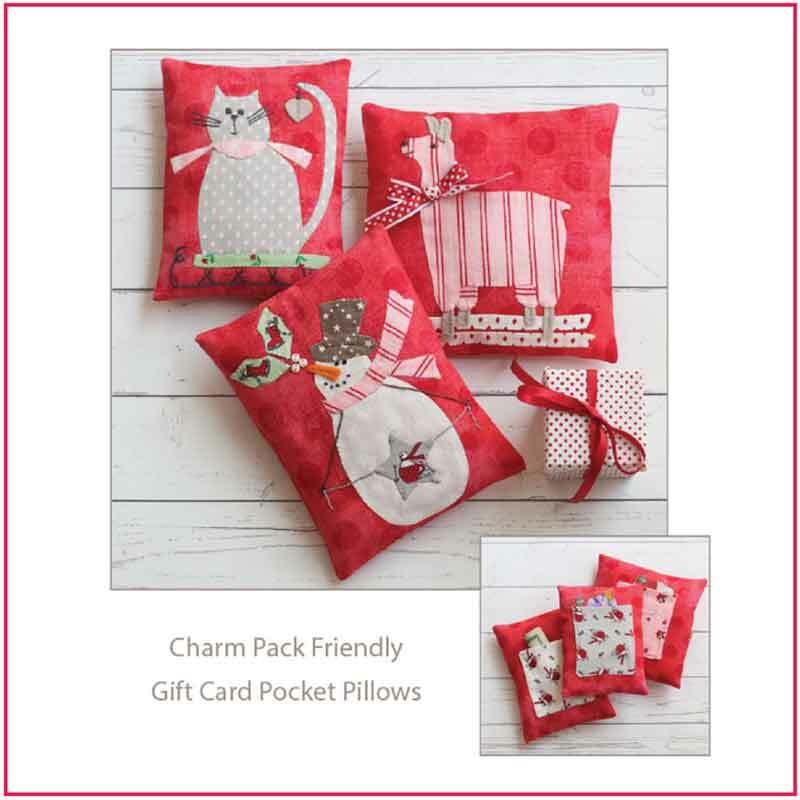 I think Pocket Pals for Christmas is the answer! Make one of my little pillows and tuck the gift card into the pocket on the back. You’ll have two gifts in one! The little pillow becomes an ornament to be used year after year, long after the gift card is used. Oh Christmas Tree is perfect for any type of appliqué. It’s quick and easy, and it’s a mini quilt with style. It’s still months and months away but Christmas 2019 is going to be so much fun! All images used with permission of Anne Sutton – All Rights Reserved. Absolutely adorable!!! Love the patterns and the fabulous! It’s not “overly” Christmas. It whispers not shout! Thank you! I love the subtle designs. I can see lots of uses for these adorable prints! Wonderful designs! I thought you were going to say, “Fill the Pocket Pals with flax seed, heat up in the microwave so you can carry them in your pockets as hand warmers.” Isn’t it funny where our mind takes us. Merry, Merry Snow Days is a great collection and so usable. The Lamas add a unique twist that you don’t see anywhere else. Thanks for the great designs. I’m going to need to make “Oh Christmas Tree” in memory of our sweet llama Rush. We are mostly a cat-and-dog family, but Rush was an irreplaceable family member as he watched over our miniature horses and our farm. A true gentleman. Awesome ideas and fabulous fabric designs. I’m going to follow Anne! I absolutely love each of these … wonderful … I’m going to need to make them all.